Ever since I finished the Anastasia Krupnik and Sam Krupnik series in 2014, I have been meaning to read more of Lois Lowry's older realistic fiction titles. When I discovered OpenLibrary.org during January's Bout of Books read-a-thon, I searched for some of her books just to see what was available, and found that all three books in her series about the Tate family were there. I wound up reading all three over the course of just a couple of days. 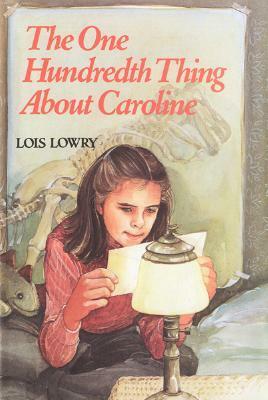 The first book, The One Hundredth Thing About Caroline, introduces the Tate siblings: eleven-year-old Caroline, and her older brother, J.P. After snooping in the trash can near the mailboxes, Caroline becomes convinced that a neighbor on the top floor of her apartment building is a murderer. When she learns that this same man has begun dating her single mother, Caroline and her best friend Stacey begin to make plans to unmask his true identity before Caroline and J.P. become his next victims. In Switcharound, the second book, Caroline and J.P. are sent to stay with their father who, after divorcing from their mother, has started a whole new family which now includes a six-year-old son named Poochie and identical twin baby girls. Their dad has no real idea of what to do with Caroline and J.P., so he and his wife put them to work. J.P. must coach Poochie's baseball team, while Caroline is responsible for babysitting the twins. As both kids struggle in their assigned tasks, it becomes clear that they are each better suited to doing the other's job, and they help each other out, all while first planning revenge on their father and then trying to undo their revenge plans when they realize how much trouble they will cause. 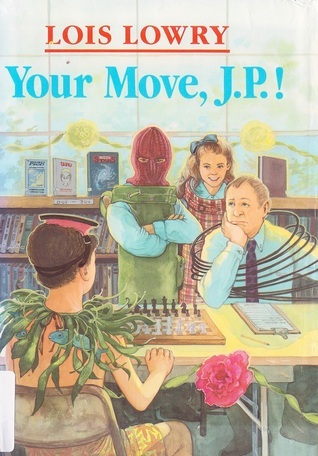 Finally, in Your Move, J.P.!, J.P. develops a crush on Angela, a new British girl in school, and makes up a lie to impress her. As he gets deeper and deeper into his lie - which is that he has a rare disease that will one day kill him - he also begins to realize Angela's flaws. In the meantime, J.P. prepares for a major chess tournament and spends time each day visiting with a homeless man in the park, who has challenged him to name an affliction for each letter of the alphabet. This series is similar in some ways to the Anastasia and Sam books. Both Caroline and J.P. are exceptional children with academic interests (Caroline is a budding paleontologist who hangs around the Natural History Museum, and J.P. is a chess whiz) who still sometimes make foolish mistakes. Though the two siblings don't always see eye-to-eye they do have a warm relationship, and they seem amused by each other just as often as they are annoyed by each other. The writing is also quite good in both series. Lowry has a real knack for bringing these smart and quirky characters to life, and for giving them believable and endearing flaws. The differences between the series lies mainly in the structure of the Krupnik and Tate families. While Anastasia and Sam have parents who are very much in love and living together, the Tates are divorced and Caroline and J.P. must deal with the complications of a step-mother, half-siblings, and a mother who goes on dates. Lowry doesn't paint this situation in an overly depressing light, but the differences in family make-up do give the Tate books a different point of view. 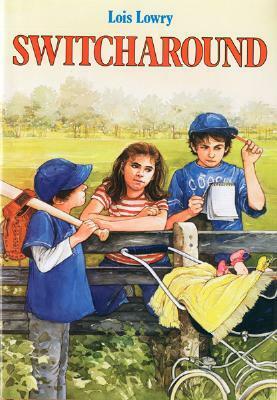 Overall, I enjoyed all three of these books, but Switcharound was my favorite. The events of The One Hundredth Thing About Caroline were amusing, but far-fetched, while Your Move, J.P.! was more of a typical middle grade story about a first crush than anything else. Switcharound has the most emotional depth of the three, and it tells a story that is very specific to the complexities of this one particular family. Mr. Tate doesn't always treat his kids fairly during their visit, but the injustice of their being forced to work only adds to the story's appeal. There is real uncertainty about whether things will turn out okay or not, and that makes for a very compelling read. These books were all published between 1983 and 1990, so they are definitely a bit dated, but I wouldn't say they are totally irrelevant. The character development alone makes them worth the time of a contemporary reader, and they are available as ebooks, even though it doesn't look like any print editions are available right now. Kids who are already accustomed to reading older books will have no problem jumping right into these, and even those who typically read twenty-first century middle grade paperbacks might find these a refreshing change of pace. I certainly did.